I've always been a fan of Mediterranean dishes and try to incorporate those flavors into my cooking as much as possible. Now that my family is back under one roof, I've been cooking much more and experimenting in the kitchen. I hadn't made a meatloaf in ages and had the urge, but wanted to shake things up a bit. I looked through my ingredients and realized I didn't have any breadcrumbs, ugh, but really wanted the meatloaf. Since I love quinoa, I figured that would be a good substitute. I added some feta cheese, chives and greek dressing for flavor and this delicious meatloaf was born. And let me just say, even my meatloaf despising children LOVED this dish. Like, had seconds loved it. 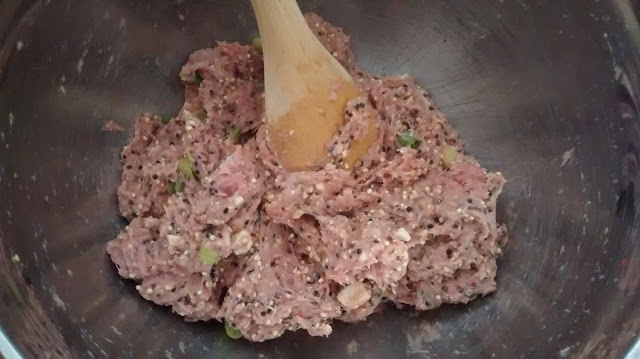 1 pound ground meat, I used turkey. 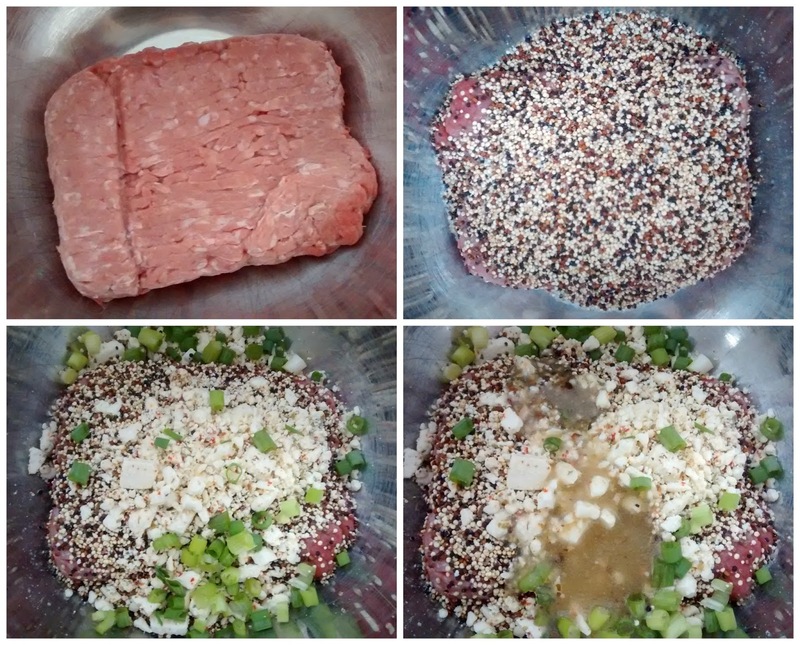 If you really want it Greek style, use ground lamb. In a large mixing bowl, mix ground meat, quinoa, salt, pepper, feta, chives and dressing until all ingredients are combined. Place into a greased loaf pan/baking dish. Cover with foil. Bake for an additional 30 minutes or until center is cooked and edges are browning. When serving, drizzle Greek dressing over your dish for extra flavor. Enjoy with Green beans and a fresh Greek salad! I love meatloaf and greek food so I will have to bookmark this to try!! It looks so yummy! I would probably love this dish since I enjoy Greek food, unfortunately my hubby not so much, I will make it when he isn't around. 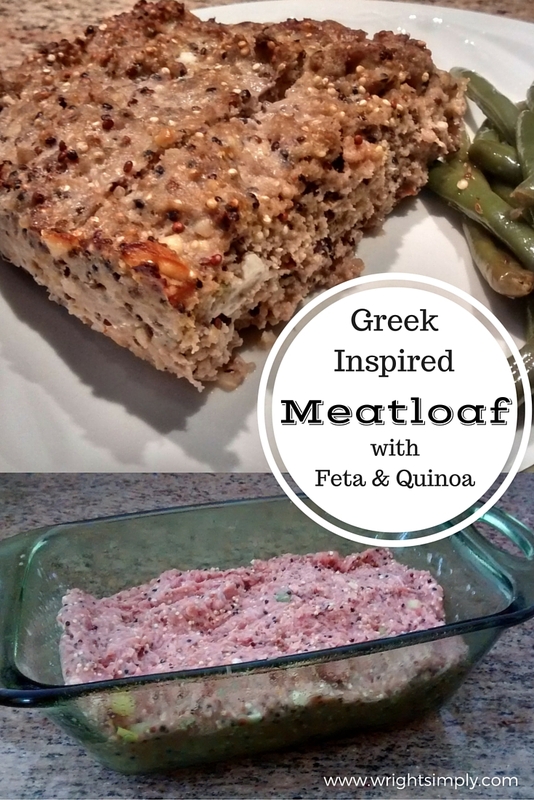 Love the Greek flavors and feta in this. Yum! I LOVE the added quinoa! I'm a huge fan of feta cheese as well so this is perfect! 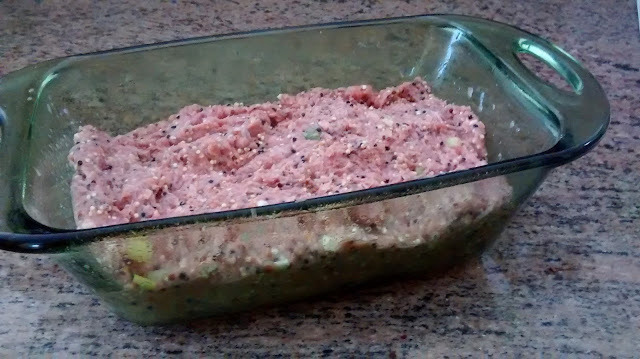 I haven't made meatloaf in a very long time. I'll have to try this recipe mext time I make it! Looks amazing definitely have to try this. The thing that intrigues me the most is the quinoa. Oh my word! A family fave! Love this recipe!! It looks so enticing. 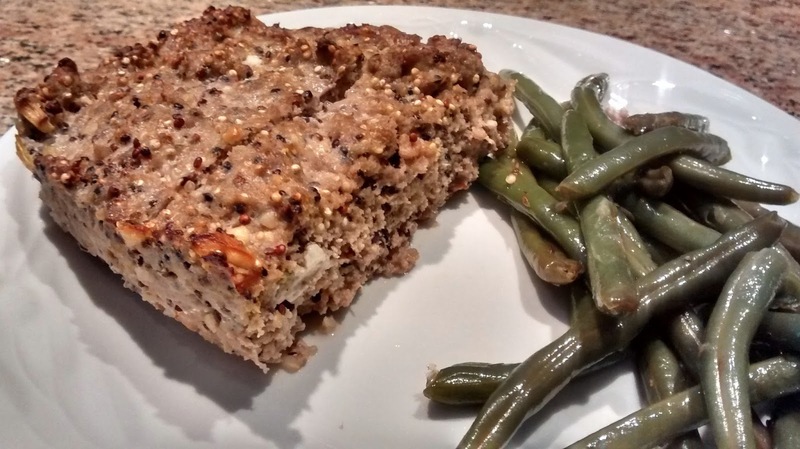 I am not really a fan of meat loaves but with your recipe, it makes me want to make one. Sounds yummy! 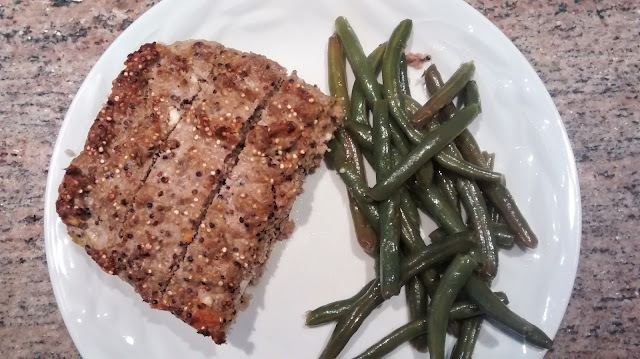 My husband loves meatloaf but I am so sick of the same recipe over and over. Pinned to try! This is awesome , what a recipe !